I actually have grown to enjoy the challenge of a good interview. By good interview, I mean one that is not a battle of wills or wits but an honest exploration of the candidate’s skillsets and fit for the team. 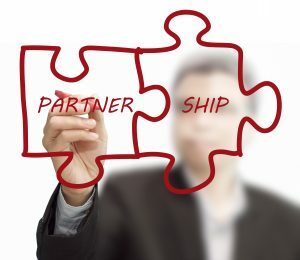 Some of the most interesting ones I have had have not necessarily been the ones where I got a job offer but ones where we both gained insights and we knew whether we wanted to do business together. As I sat across the desk from one particular hiring manager – answering each salvo with the sum of my experience and insight to the position I had gained from past work and from his company’s reputation – did not fall in this “good” category. The exchange was certainly lively and cordial and I got, near the end, perhaps the most feedback I had received as he revealed his interpretation of my responses. I walked away with some new ideas and can tell you which answers I should have answered differently. This manager appropriately quizzed me on the size and composition of teams I have lead and gave me several real world scenarios that were to test the approach I would use to deal with a challenge. He reminded me several times how smart he was and that these were basic management questions anyone with “real experience should have no problem with”. I knew the textbook answers and there were things, in fairness, I wish I had answered differently. On the other hand, he forgot the first rule of interviewing, which is to listen ….not for what you are expecting to hear but what is really being said. He also forgot (or did not care) that he was also being interviewed. The question “is this person offering a situation I want to be part of” should be in the mind of each applicant. Birmingham has a tight knit IT community and both people and employers have their own reputations. Mistakes and successes follow me around town in that community. So, for many employers, do their hiring, work conditions, and turnover rates. A company’s reputation, just like an individual’s, can be very hard to overcome. More than one company in town is on the blacklist of experienced people who know that careers are broken and people turned out or burned out regularly. It happens in the IT segment, healthcare, financial services as well as other communities. So, what did I do wrong in the interview? To be fair, I always start with my lessons learned. I saw where it was going but failed to adjust. In fact, I doubled-down on some points when I realized what was going on because I knew giving in then meant it would be a bigger battle later. I realized where the organization was and why it had that reputation, and decided it was not going to be a place for me. I did not sabotage it, but did decide that if I got the offer I would probably have to turn it down or be gone within a year. I spoke afterward with the recruiter and apologized but we agreed was a bad fit. So, what did the interviewer do wrong? First, he had the set of answers he wanted and assumed the right candidate would make his same assumptions and start their answer with his frame of reference. He forgot every candidate comes with their own frame of reference and that can be a good thing. Starting at a different point in solving a business problem does not mean they are closed minded – we all start with our own assumptions. Second, he forgot why he had an opening. He had people in that position before and there had been a series turnovers that left him with several openings. He was using the same yard stick to measure each candidate and not looking for real solutions. A management candidate offers a terrific opportunity to get some free consulting if you are willing to listen. As the old saying goes “opinions are like noses – everyone has one”, but consider listening from time to time. In his case, his teams were over worked and out of sync with the business (his own admission) and he kept assuming his approach was what was needed and finding someone exactly like him would help. Before starting the process, if you have had a series of turnovers, ask yourself what is going wrong and quit assuming it is bad candidates. It may be, but honestly explore other options before settling there. Most people do not like change so ask if there is a bigger problem. Second, when you hear a different answer from what you expect, rather than rephrasing the question to get the answer you want, consider exploring the response to see if there are any new ideas that could help. The manager above asked one question 3 times thinking I just didn’t understand what he was looking for. I am convinced he needed my answer more than I needed to give him his. Neither of us was impressed with the other, but I fear only one learned something from the encounter. I have spent many years on both sides of the table during interviews. I have been through hundreds, and as the candidate I have landed offers from roughly 50% of the companies I wanted in my later years. However, I remembered this is not a competition to win but a confidence to build. Both parties are being checked out. This story is based on a composite of two interviews but care has been taken to avoid company references. Any similarity to your organization is something you should consider addressing immediately. RPS helps companies and managers see and hear things better and build better teams. For more information contact RPS.